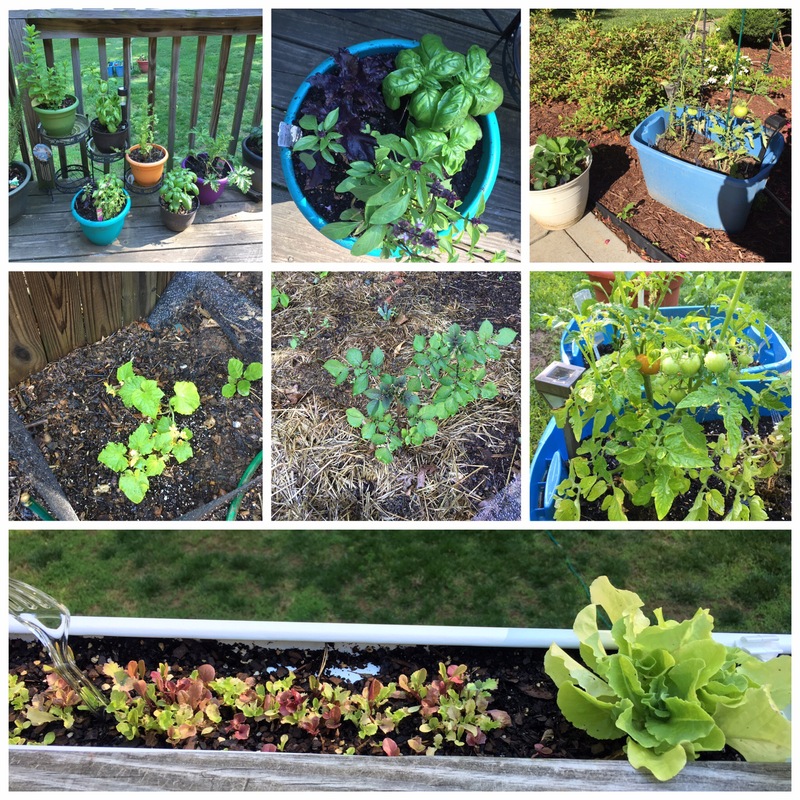 Garden update – May 2016 – Just sharing. From my heart to you. This garden adventure continues and this time it looks like we stand a chance of actually making this work. We have tomatoes ripening, strawberry plants growing, potatoes plants thriving, mini cucumber plants enjoying their spot, and the herbs are flourishing. In an effort to continue to find the right balance between sun and water we decided to move one tomato plant container and the strawberry plants to an area in our front yard that gets more sun daily to see if it helps. Our concern there is critters…so we are considering our options to protect the precious plant from invading marauders. While to some gardening seems like a simple, easy task, for some reason the gardening skill has evaded me. I can manage herbs and indoor house plants but tomatoes, peppers, lettuce, and other such delicious edibles always seem just beyond my level of skill. As the summer progresses I will be anxious to see if perhaps this year we win on this adventure.